This leather bound measurement book was used by U2's stylist Lola Cashman to record the measurements of Bono and the rest of the band, as well as other entertainment artists such as George Michael and the members of his band. 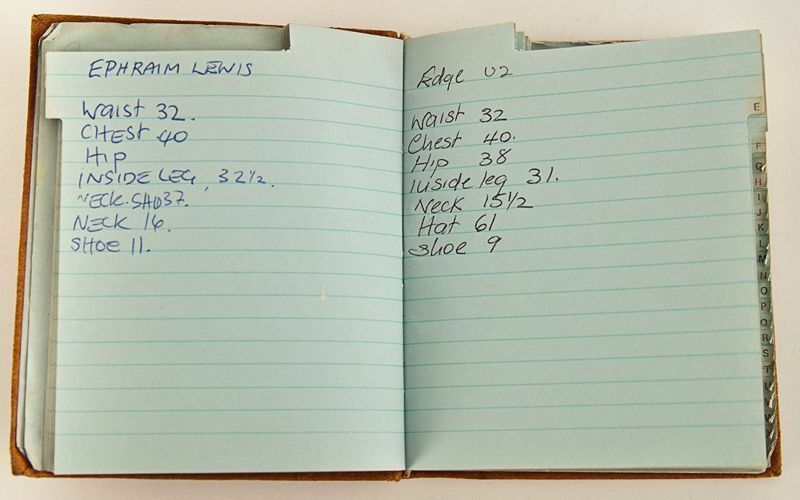 The detailed measurements have been meticulously handwritten. 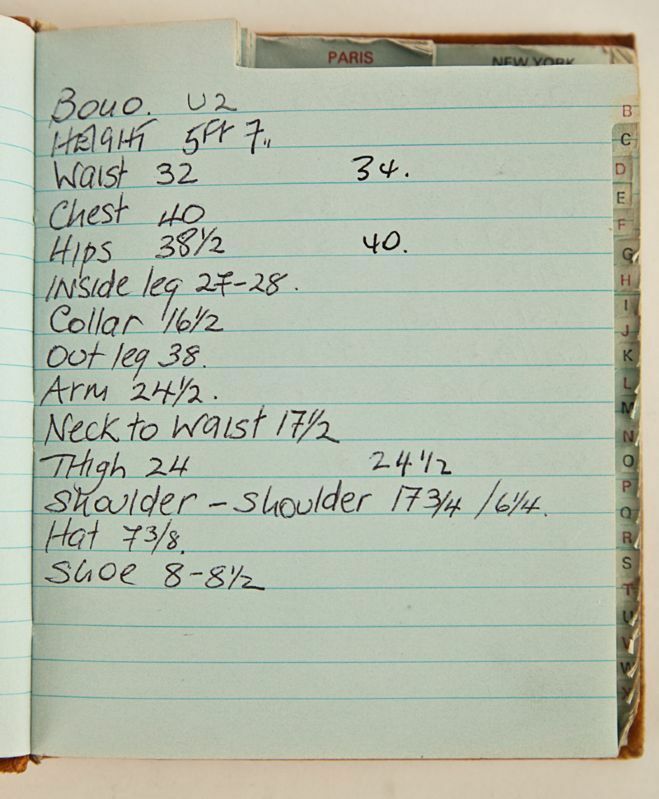 This measurement book comes directly from the collection Ms. Cashman, who was U2's stylist throughout the 1990's. She is also the author of the book, "Inside the Zoo with U2." 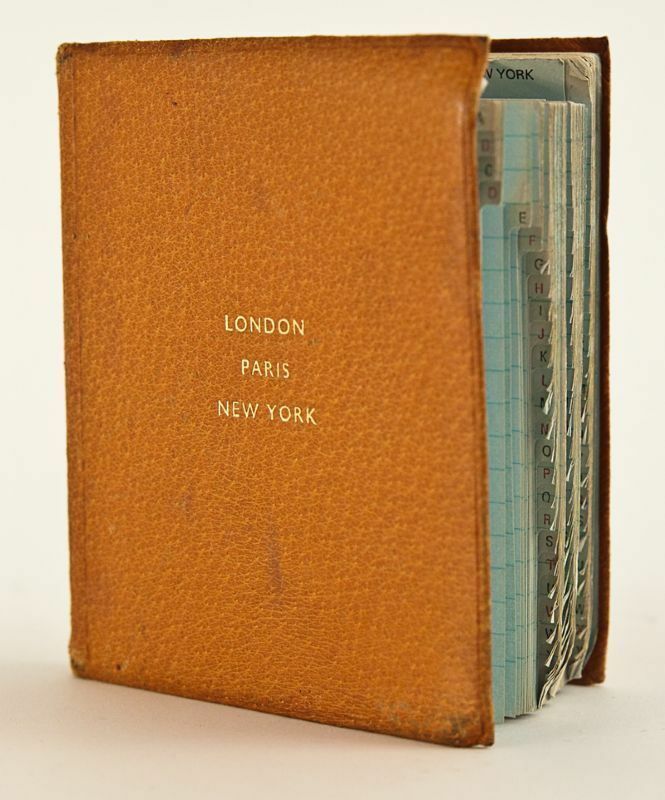 Measures approximately 4.5 x 5.25. Auction closed on Thursday, March 11, 2010.